This week of pregnancy has been a bit strange really. I’d always thought that I’d be super chilled come week 37, as this would mean that baby is full term and could arrive perfectly healthily at any time she’s ready. Instead, I’ve spend this week knowing that my baby is going to be born by caesarean section the following week. I’ve been to the hospital for my pre op and steroid injections, been talked through the whole procedure by a midwife and chatted to an anaesthetist about what to expect. I downloaded a caesarean-specific hypnobirthing album that I’ve been listening to for the past week, but to be honest I’m still feeling very anxious about the whole thing. I think I just can’t believe that I’d be lucky enough for everything to go well. Others have told me not to think about the procedure and just focus on the final result, meeting our baby, but I don’t dare think about that too much in case it all goes wrong. Anyway, I’ve just been focusing on getting through each step of the process; there’s been a few things to do in preparation (which is interesting because obviously none of this would happen if I were to have an unplanned section or if I hadn’t happened to have these extra scans that have found the baby to be breech, and small). On Wednesday I had to attend my pre-op. The midwife talked me through the process. To be honest I found her to be quite abrupt and she even asked me to stop asking questions and just listen as I was putting her off her train of thought! I didn’t think I’d asked a lot of questions, and the ones I did ask were to clarify what she was telling me. I thought the whole point of a pre-op was so that the patient would have a good understanding of the procedure and to make sure they prepared appropriately?! Unfortunately I just felt a bit like I was on a conveyor belt and she wasn’t really bothered about how I felt about the whole thing, just as long as she’d done her job and told me everything she was supposed to tell me. I also saw the anaesthetist at this appointment. He was really nice and said I’m allowed to wear my contact lenses and a bit of make up in theatre (even though the midwife told me I couldn’t). It’s a shame that he might not be the anaesthetist on the day. I’m also allowed to take in my phone and headphones so that I can listen to my hypnobirthing tracks. I’m hoping this will help with my anxiety. Half way?! Are you bloody kidding me?! Actually that really ought to be in speech marks as it wasn’t just a thought; it actually came out of my mouth. I’m even more sure that she was deliberately being evil now as the following day when I attended for the second one, a different midwife just jabbed it in and, whilst equally painful, it was over far more quickly! Needless to say I thanked the second midwife profusely! Tonight (I’m writing this on Sunday) I’ve got to take an antacid, then another one at 6am tomorrow along with a couple of paracetamol. I’ve been told to arrive promptly at the hospital at 7am. Torture midwife, however, told me that I’m currently 4th on the list and they only usually do three c-sections in a morning, so I could be in for a long wait, or even postponed to another day. Fingers crossed it doesn’t turn out to be the agonising wait that I’m now prepared for! "When to get out the pram? Uppababy Vista First Impressions"
Just found your blog, it’s great! I’m facing the same possibility as you, as am 36+4 with a breech baby. Have a presentation scan booked in for Friday morning to confirm. We’ll be trying the ECV first, if possible, and if not it will be C-section for us too. 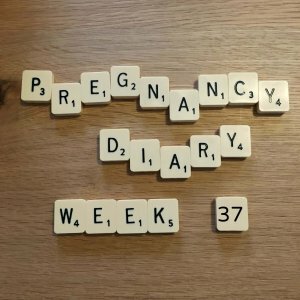 Just wanted to say how useful it is to read your experience of the prep involved, as I have no idea what to expect at this point and am also quite nervous about having a C-section (which will also be at Bristol if it comes to it).